The exhibition is dedicated to architectural drawing as one of the key skills of architects throughout history. Both known and unknown works are presented from the museum’s drawings collection. On display are familiar masterworks as well as recent additions and previously unexhibited works. Well-known Estonian architects reflect on the past, present and future of the architectural drawings in interviews made for the exhibition. 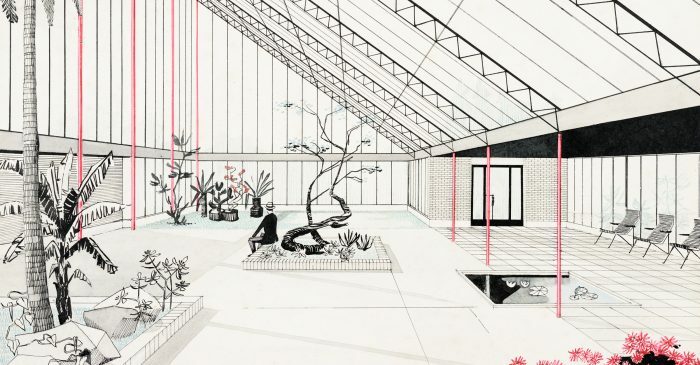 The nine topics of the exhibition present a concise cross-section of 20th century architecture in Estonia through the lens of architectural drawing. It doesn’t matter whether the design was built or not, whether it was a fantasy or totally feasible: architectural drawings in all their diversity illustrating the architect’s original idea are placed at the forefront. At the same time, the exhibition is a homage to the beautiful and rich world of handmade architectural drawings. The digital revolution of the last quarter century has radically changed the professional life of the architect, but oftentimes even now the architect drafts the first sketch on a random piece of paper before proceeding to elaborate the design using computer software according to current standards. So – the architectural drawing is dead, long live the architectural drawing!